You’ve seen the impact travel can make on young minds. 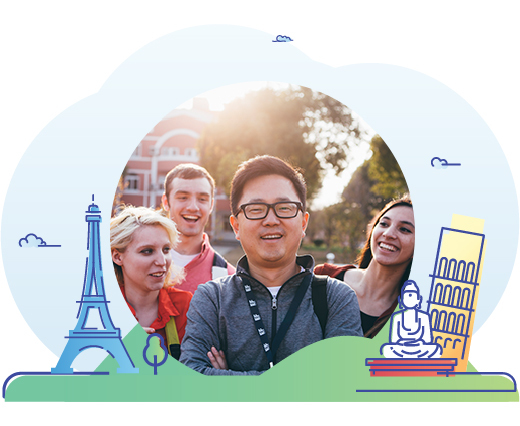 Now, lead your own group on an educational tour with EF and give even more students the opportunity to see the world. Before your tour, you’ll get fully prepared on a free International Training Tour. We always guarantee the lowest prices for your students, and you and your chaperones will travel free when you enrol six or more students on your selected tour. Not bad, huh? Before your tour, you’ll have get fully prepared on a free International Training Tour. We always guarantee the lowest prices for your students, and you and your chaperones will travel free when you enrol six or more students on your selected tour. Not bad, huh? Fill out this quick form to get more information about leading your own educational tour.